Central Station is aptly named as it is located in the central portion of San Francisco, the center of tourism, commerce, entertainment and civic events. The district comprises the Financial district, Chinatown, North Beach, Fisherman’s Wharf, and three famous hills: Telegraph, Nob and Russian. Seven of ten major tourist attractions in San Francisco are located in the Central District. In 2002, it is estimated that over 13 million tourists visited attractions within the Central Police District. The District Police Commission Meeting is held in October at the Central Police Station. 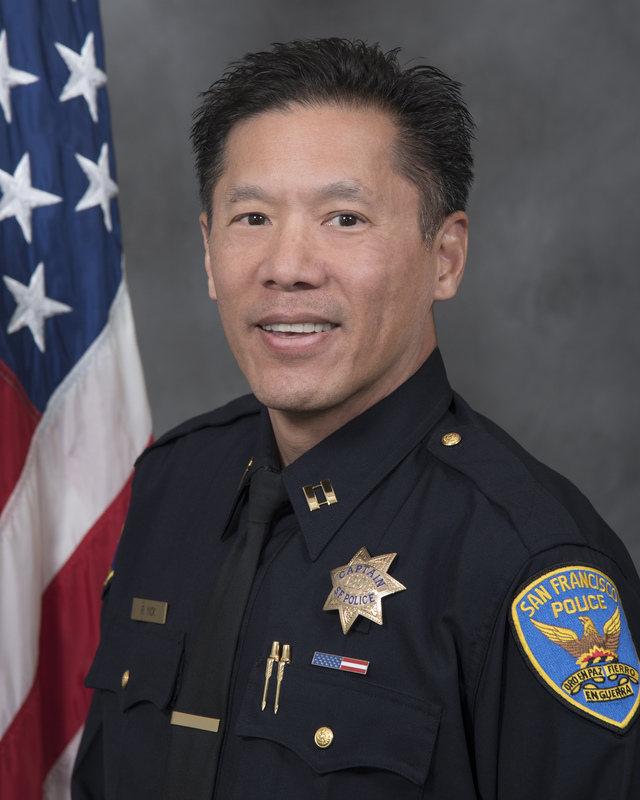 Central Station Captain Robert Yick was born in France, but grew up as a fifth generation San Franciscan in the Richmond District. He earned a BA in Management from Saint Mary's College, but began his law enforcement career in 1992 in the UC Berkeley Police Department. He joined SFPD in 1994, working assignments at Central and Richmond Stations. In his roles as Inspector, Sergeant and Lieutenant, he was assigned to Night Investigations, Domestic Violence, the Operations Bureau and the Internal Affairs Division, along with Mission Station. He was promoted to Captain in October, 2017. "I look forward to working with Central residents, merchants and City partners to ensure that our district is safe and vibrant." Community Updates are an information newsletter to inform the Central residents of incidents occurring in the district.